So, as you can all tell, top 10 lists are kinda my thing. I love reading them and making them. 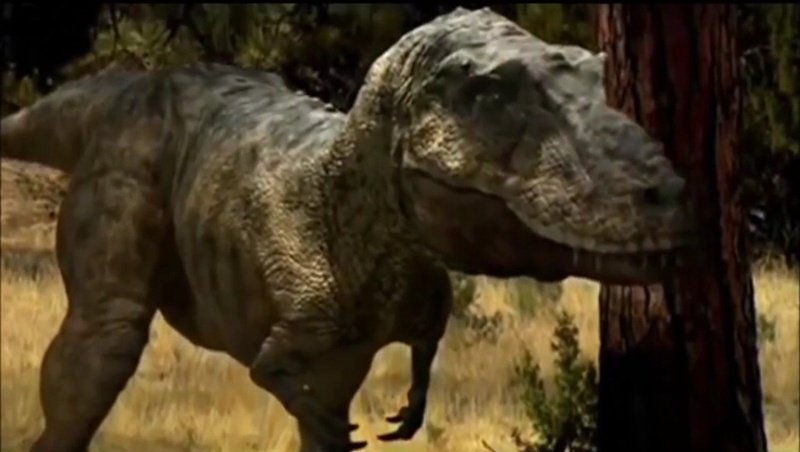 So here are the top 10 dinosaur documentaries. This list is based on accuracy and entertainment. Valley of the T.rex focused primarily on the theory that T.rex was a pure scavenger rather than a predator. Jack Horner had taken the lead in this one(no surprise there). While it focuesed on a contraversial theory(one that has overall been disproven), the design used for T.rex is perhaps one of the coolest. 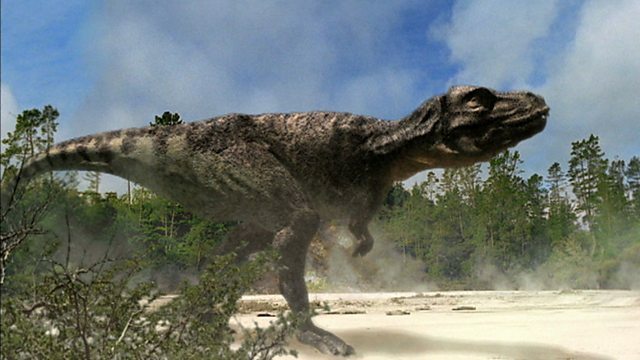 Chased By Dinosaurs was brought to us by the same crew that made Walking With Dinosaurs. Featuring some lesser known dinosaurs like Therizinosaurus, it also brought us some old favorites like Velociraptor. Chased By Dinosaurs also had a number of non-dinosaurs in it. One thing that was a bit of a flaw was the fact that it featured a time travelling scientist(Nigel Marven). It brought a bit of a childish aspect to it. The Ballad of Big Al focused on one of the most complete specimens of Allosaurus ever found, Big Al. It was also one of the most heavily injured(19 in all). The Ballad of Big Al was entertaining, but because it focued on one individual most of the time, it didn't have a ton of variety. Prehistoric was interesting because it focuesed on specific cities. Places like New York, Dallas, Los Angeles, and others. The information was accurate and it included a lot of non-dinosaurs like Megalodon and Tylosaurus. The animation was second rate though. Dinosaur Revolution was accurate in a number of ways. It was also quite entertaining and had a lot of dinosaur fights. However, the information given was few and far between. The animation could have been better as well, but it wasn't bad overall. Clash of the Dinosaurs had good animation and accurate information overall. Many of the theories shown are in line with a lot of thinking today. It could have featured a better variety of dinosaurs and the scenes were a bit repetitive, but it was fun to watch. 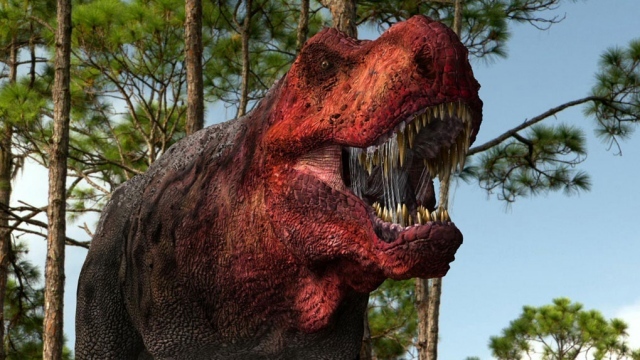 Planet Dinosaur had brought us some dinosaurs that haven't really had a lot of time in the spotlight like Mapusaurus and Gigantoraptor, along with some old favorites like Spinosaurus and Allosaurus. The animation for the dinosaurs was really good, but it was clear the environments were CGI. I always perfer "live action." Considered by some to be old and outdated, Walking With Dinosaurs is still a classic. For it's time(and still) it has some of the best animation and animtronics of any documentary. Walking With Dinosaurs also took us around the world from the land down under to a forgotten land called North America. A truly timeless classic. Dinosaur Planet was a top notch documentary with only minor issues, many of which had to do with speculation. Like the Ballad of Big Al, it focused on a particular individual, but also a number of "side characters." It brought us dinosaurs going about their daily lives as if they were still here. 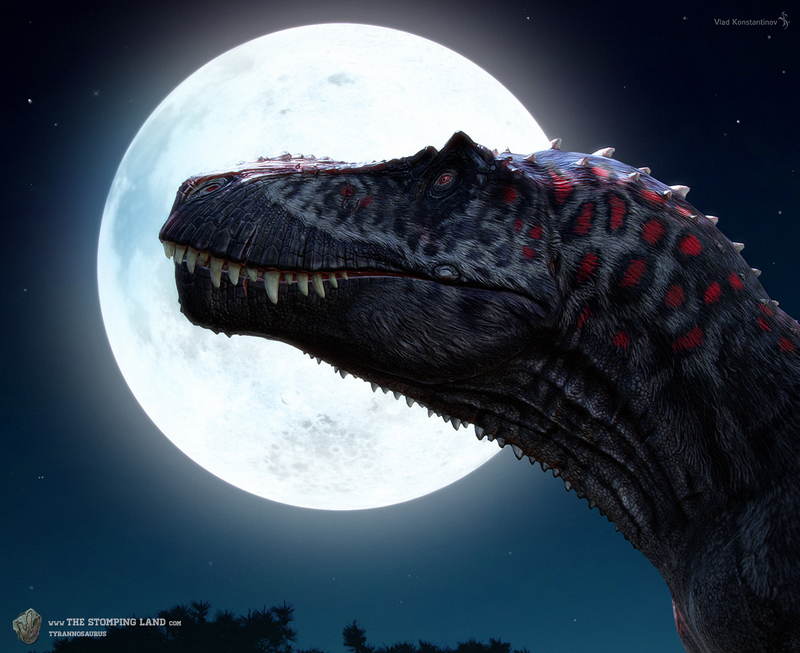 Not to mention one of the coolest dinosaur roars ever, that of the Daspletosaurus. When Dinosaurs Roamed America is perhaps one of the most accurate dinosaur documentaries overall. It showed them as fast, deadly, and efficient. The raptors were feathered and the T.rexes were pack hunters. Great animation and, despite being set in an area where the dinosaurs are extremely familiar to us, the variety was great. Animals like Nothronychus were featured, plus favorites like Tyrannosaurus and Ceratosaurus. One of my all time personal favorites. Jurassic Fight Club had great animation and was extremely entertaining. What's better than watching dinosaurs kill each other? Well, that's actually an issue with it. 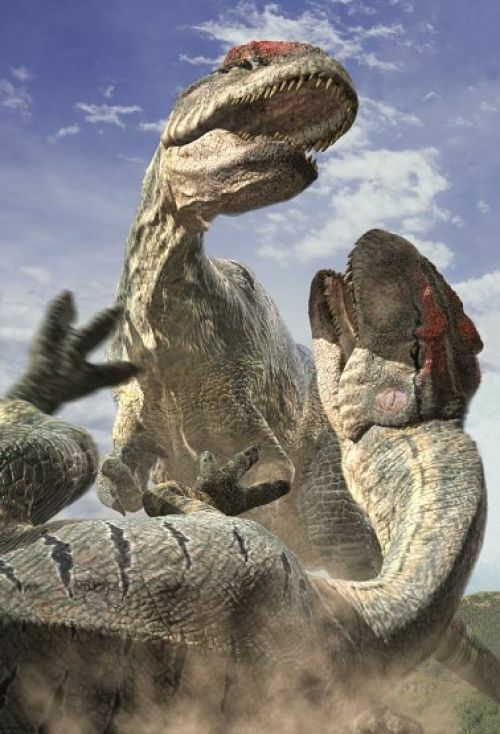 I know it's called Jurassic Fight Club, but I like a documentary that shows dinosaurs doing stuff besides fighting. You may also be wondering why it's merely an honorable mention, well, it's simply because if I included it, it'd be a top 11, not top 10 and I'm a bit OCD about that kinda thing. I can agree with this, but my favorite is Planet Dinosaur. I have seen ever single one of these. Some of these I own. I definitwly agree with this list. WHat about Monsters Resurrected: Spinosaurus? Yes, keep up with your Top 10s!!! Ain't I just a Little bright ray of sunshine? What are you going to do now to keep alive? I know what I'm doing today. Enjoy Silver Falcon. You should like them. I will use Horcruxes to live forever!!! 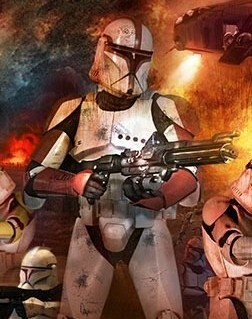 Imma use clones. Basically, I'll live forever and still be able to die. No clue(BTW, I'm out for a bit, so don't be surprised if I don't respond to comments for a bit). But raptor, horcruxes are so much messier than clones! Silver Falcoln, BUT I SHALL LIVE!!! T-Rex White, my first profile pic was of the Valley of the T.rex(I like your new one by the way). Cool list, I agree with number one, A true childhood memory...i'm 12, turning 13 at the end of the month, so yeah chilldhood memory. That's also what got me to love Ceratosaurus! Also love the characters and designs! Good listing and I liked them all for individual reasons. Ian Malcolm: No I'm, I'm simply saying that life - uhhh - finds a way. i have seen every single one of these and my favorites are wwd, planet dinosaur, and an unmentioned and very underestimated documentary: The last Day Of the dinosaurs. The only one I haven't seen is Number 1. So I better go and watch it right now. Glad you all liked it so much. This one was really fun for me to make. Really brought back some memories. Raptorexxx, I thought about Last Day of the Dinosaurs, but since it was almost the same thing as Clash of the Dinosaurs(same animation and crew), I chose not too, but it was cool too.